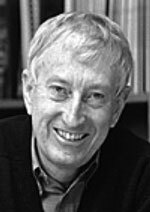 Mankind's challenge for the 21st century is to evolve culturally rather than biologically in a way that put limits on population growth and ensure ecological balance through sustainable use of energy and other resources, according to Professor Peter C Doherty, the 1996 Nobel Laureate for Medicine. “Solving the energy equation in an environmentally friendly way may, in the long-term, be the biggest contributor to world peace and sustainability,” Doherty said yesterday during a speech at Chulalongkorn University. He said it would not be easy but it could be achieved if cultural practises and belief systems were altered. Doherty, in Bangkok as part of the ongoing “Bridges Dialogues Towards a Culture of Peace” programme, organised by the Vienna-based International Peace Foundation, said people in Western cultures are becoming bigger consumers and the mass media is perpetuating the trend. Manipulating the world to our advantage is beginning to backfire on us, said the Australian expert on immune systems. He said the pace of biological extinction over the past century indicates the impact humans can have on the world. “The evidence of global warming suggests that ignoring basic realities has the potential to compromise our long-term well-being as a species,” he said. Another challenge cited by Doherty is the human population explosion as a result of lack of proper contraception in many parts of the world thanks to religious restrictions. Doherty said world population had increased four to five fold over the past 2,000 years with the 2001 census putting the total at 6.4 billion people and that neither the earth nor human civilisation could sustain this rate of growth. He said a proper dialogue is needed to convince major religions like Catholicism and Islam to support some form of contraception. Doherty earlier told The Nation that while the Catholic Church still condemns the use of condoms, some Catholic priests in Africa are successful in their quiet endorsement of contraception. With Islam, things are more complex. Authorities are not centralised like the Catholic Church, yet some Muslim lands like Senegal have successfully pushed contraception, saying the Koran does not forbid it. The tragedy, he said, is that US funding for women’s health and contraception in the Third World has been greatly reduced as a result of the religious views of US President George W Bush.